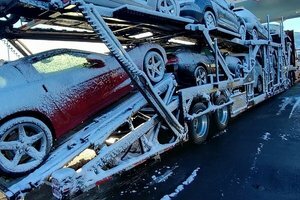 Open vs enclosed car shipping – how do you decide? We offer both. Read our brief guide for important considerations when making your decision on which type of auto transport to choose. Then give us a call for a free customized quote, 1 (888) 886-3456. You have probably seen hundreds of open car carriers on the highway in your lifetime. They range from single car flatbeds to 10 car haulers. Most vehicles are transported on 3, 7, or 10 car haulers. These are some of the most common trailers used in the auto transport industry. 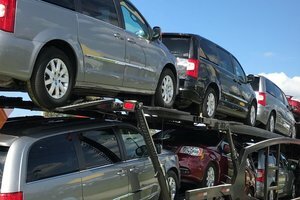 The major difference between having your vehicle on a car carrier versus having a car towed is whether the wheels are touching the ground or not. We do not ever transport a vehicle by tow truck. Having a vehicle transported with wheels on the ground greatly increases the chances of damage or suspension problems. Enclosed, or sometimes shortened to just closed or covered, car carriers look like your typical box truck with 4 solid walls, adding another level of protection for your vehicle. Enclosed car carriers are generally the same size as a 10 car open carrier, but due to the restrictions created by the enclosed trailer they are in, cannot fit nearly as many vehicles. 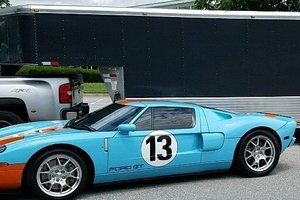 This is why this type of vehicle transport costs a great deal more than open car transport and make a great classic car transport option. 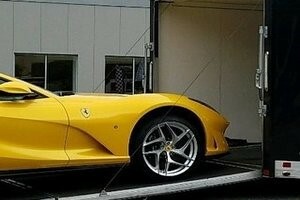 Enclosed car transport will cost at least 50% more than moving your vehicle on an open trailer.